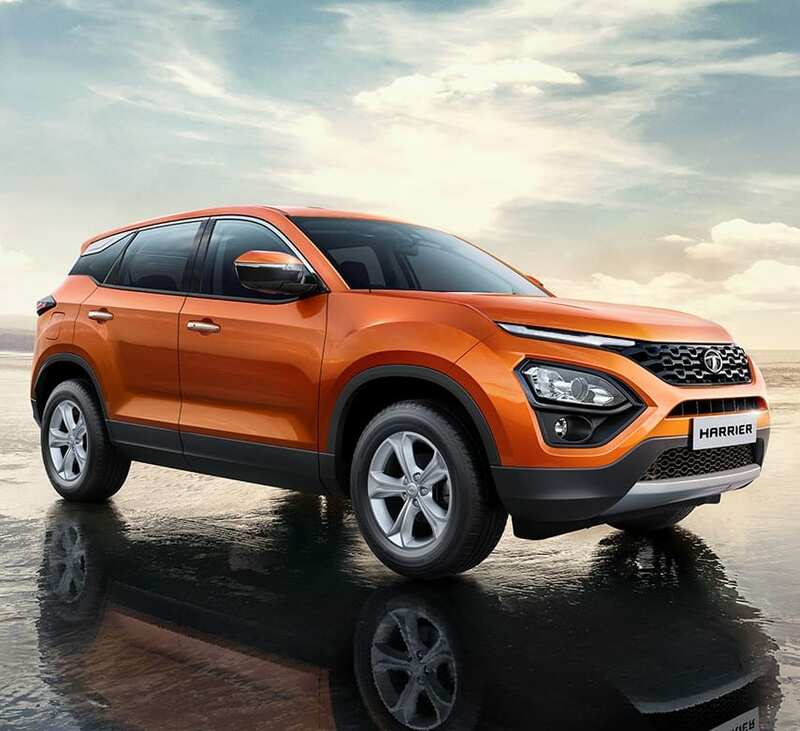 After a few images of the interior of the upcoming Harrier SUV were leaked on the internet last month, there was a frenzy in the market concerning the imminent arrival of the vehicle. 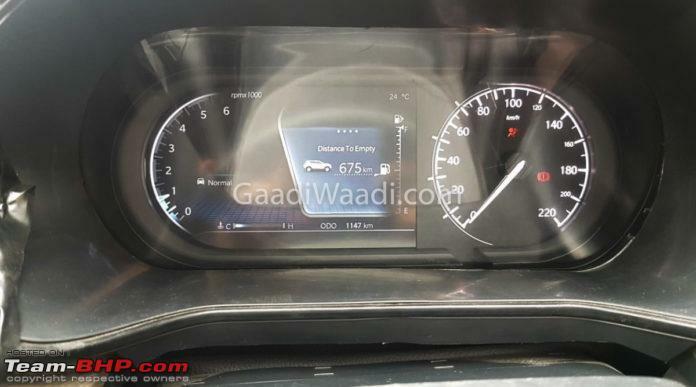 New Harrier interior images have come forth, increasing the excitement even more. 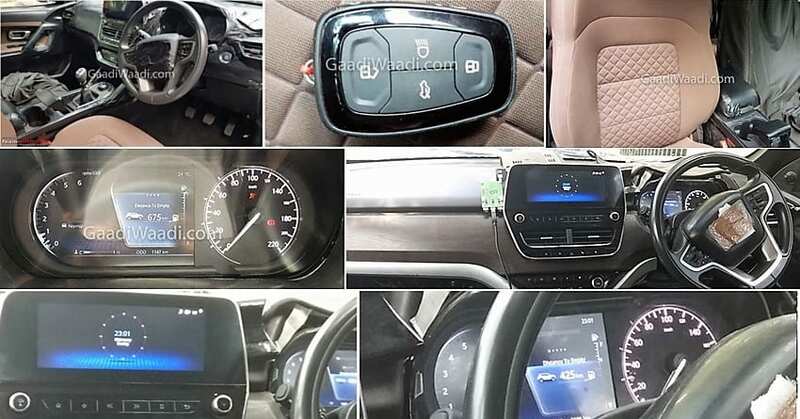 These new images reveal quite a bit more about the upcoming SUV, giving a clearer look at the dashboard, infotainment, and instrument cluster. 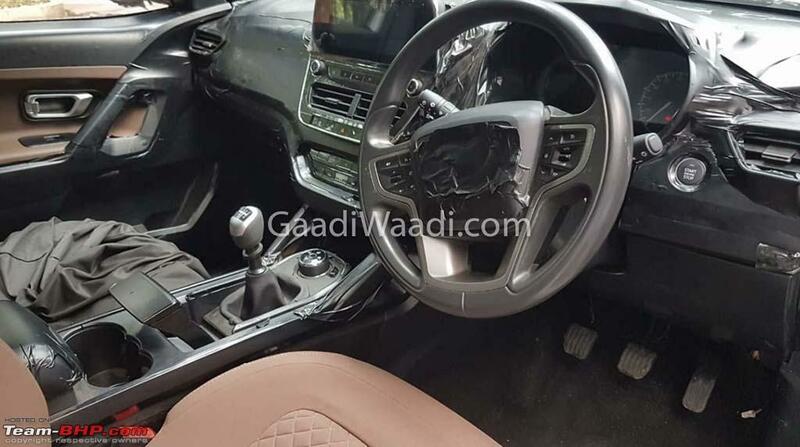 With the images that have surfaced now, it has become clear that there will be an option to get the Harrier in a dual-color tone interior. 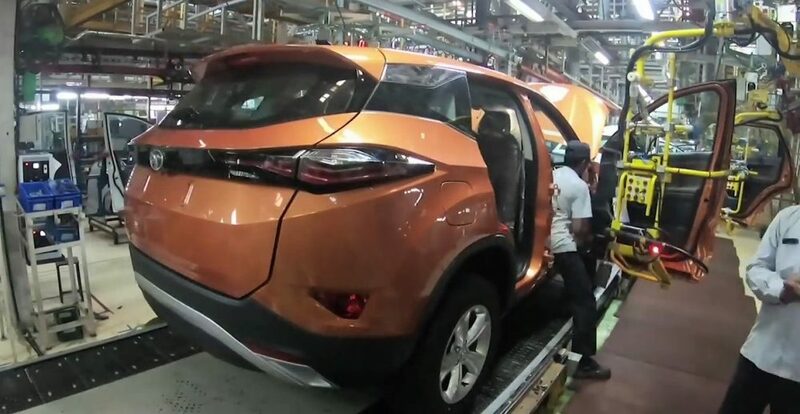 There will be brown door panel inserts and seats on the dual-color interior if the test vehicle and the production vehicle remain the same. The dashboard sports an appealing glossy look on the center console, and the silver trims and accents give it a more premium look. 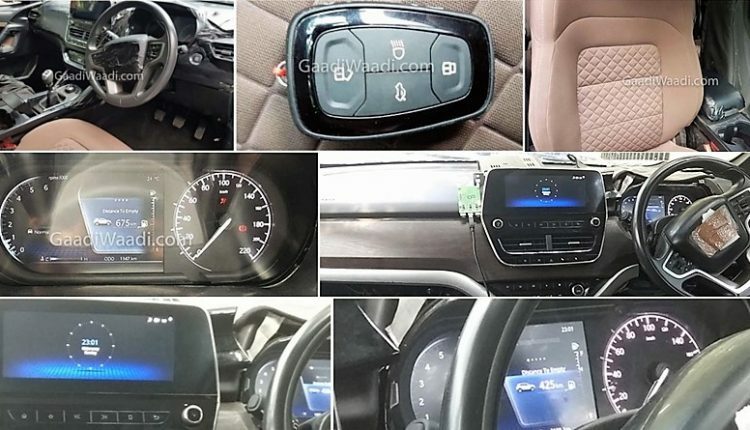 Adding to the look is the floating touchscreen display, which was absent from the previously leaked images. 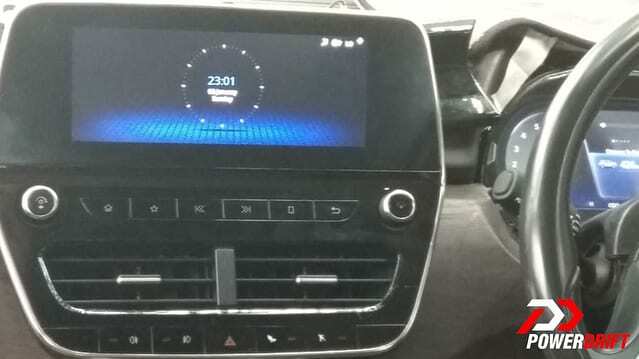 It has said that supplier of infotainment components for the Harrier is same as the one for Range Rover Velar. The class-leading quality is now guaranteed for sure. Below the center console, there is the prominent gear lever, in front of which there is the rotary wheel to select the drive mode. The silver trims from the dashboard are carried over to the gear lever, accenting it on the knob. 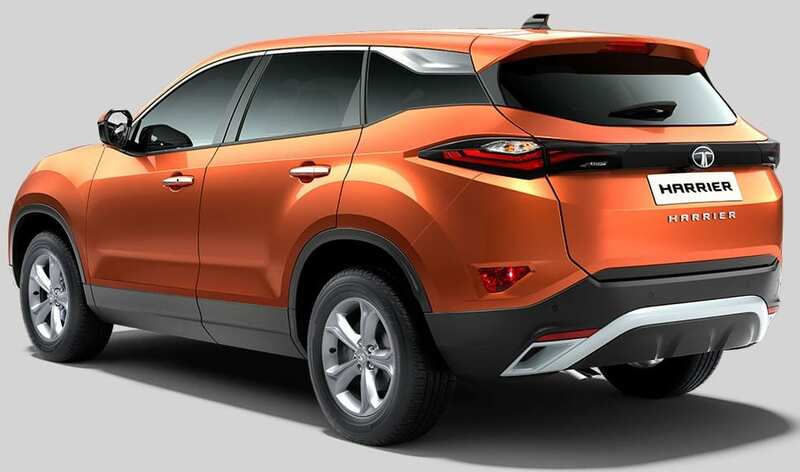 Further down, there is a pull-type handbrake, which is followed by the cup-holders. 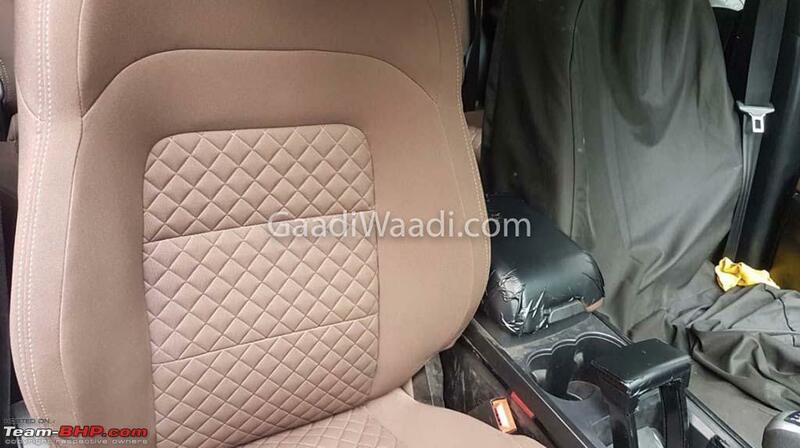 The center armrest is also seen at the front, which will, most probably, extend to cover the cup holders. 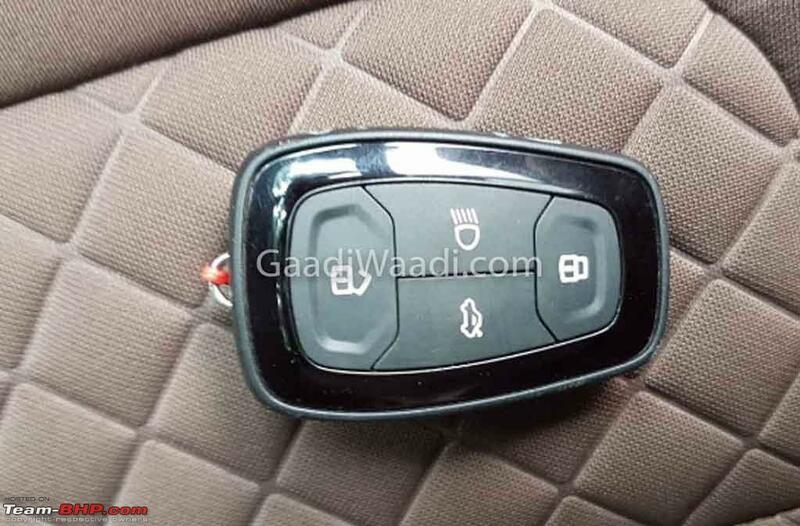 An image of the key fob was also leaked, revealing the addition of the boot release button on it. Getting behind the steering wheel, you will notice the analog speedometer on the right-hand side of the instrument cluster. 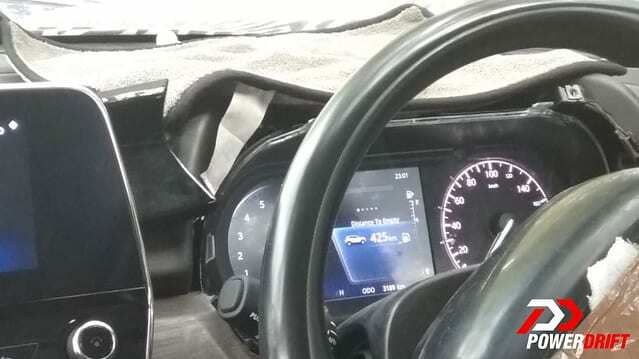 The left side is covered with a digital color screen, housing the tachometer and the MID. 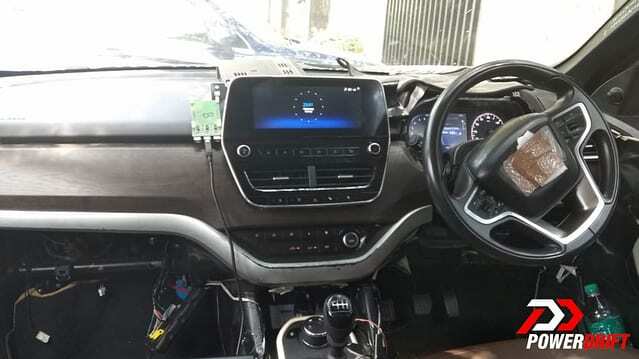 Right next to the three-spoke steering wheel with the buttons for the various controls of the car, you will notice the engine start/stop button and regular ABC pedals. 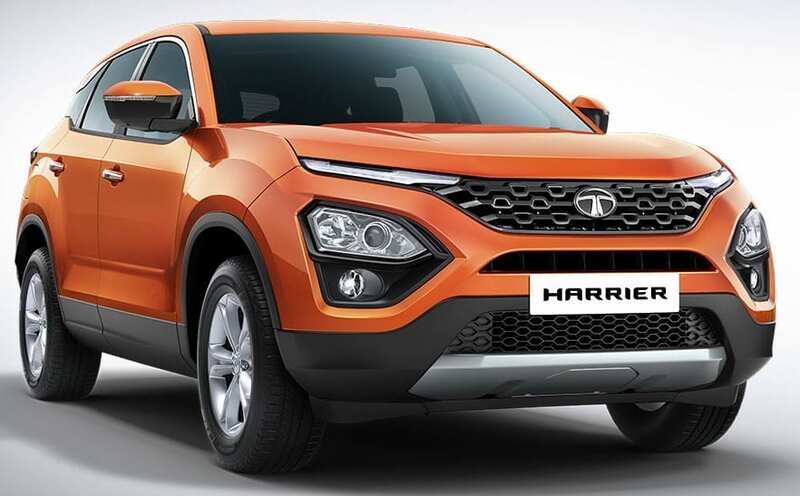 Tata Harrier will launch in India in January 2019 with a starting price tag of around INR 13-14 lakh (ex-showroom).